www.activcamps.com is a site operated by Activ Camps (“we”) (“us”) (“our”). We are registered in England and Wales under company number 06826959 and have our registered office at 1 Union Court, Richmond, TW9 1AA. Access to our sites is permitted on a temporary basis, and we reserve the right to withdraw or amend the service we provide on our sites without notice (see below). We will not be liable if for any reason our sites are unavailable at any time or for any period. From time to time, we may restrict access to some parts of our sites, or an entire site, to users who have registered with us. You may print off one copy, and may download extracts, of any page(s) from our sites for your personal reference and you may draw the attention of others to material posted on our sites. Contracts for the supply of goods or services formed through our sites or as a result of visits made by you are governed by our terms of conditions of supply. Whenever you make use of a feature that allows you to upload material to our sites, or to make contact with other users of our sites, you must comply with the content standards set out below. You warrant that any such contribution does comply with those standards, and you indemnify us for any breach of that warranty. We have the right to remove any material or posting you make on our sites if, in our opinion, such material does not comply with the content standards set out below. You must not misuse our site by knowingly introducing viruses, trojans, worms, logic bombs or other material which is malicious or technologically harmful. You must not attempt to gain unauthorised access to our sites, the server on which our site is stored or any server, computer or database connected to our site. You must not attack our site via a denial-of-service attack or a distributed denial-of service attack. You may link to www.activcamps.com or any of the home pages, provided you do so in a way that is fair and legal and does not damage our reputation or take advantage of it, but you must not establish a link in such a way as to suggest any form of association, approval or endorsement on our part where none exists. Our sites must not be framed on any other site, nor may you create a link to any part of our sites other than the home page. We reserve the right to withdraw linking permission without notice. The website from which you are linking must comply in all respects with the content standards set out below. If you wish to make any use of material on our sites other than that set out above, please address your request to info@activcamps.com. We will do our best to assess any possible risks for users (and in particular, for children) from third parties when they use any interactive service provided on our sites, and we will decide in each case whether it is appropriate to use moderation of the relevant service (including what kind of moderation to use) in the light of those risks. However, we are under no obligation to oversee, monitor or moderate any interactive service we provide on our site, and we expressly exclude our liability for any loss or damage arising from the use of any interactive service by a user in contravention of our content standards, whether the service is moderated or not. Or the purpose of harming or attempting to harm minors in any way. To send, knowingly receive, upload, download, use or re-use any material that do not comply with our Content Standards. The Activ logo is a UK registered trade mark of Activ Ltd. If you have any questions about this policy, the practices of this site, or your dealings with this website, you may contact us on 07896 546 067, or via email at info@activcamps.com. When making a booking with us at Activ Camps Ltd we feel that it is very important that we come to an agreement. This agreement allows us to know what can be expected from the other party in certain situations from the start of our journey together, right up until your children return home from camp safe, happy and exhausted! Once you have ticked the box to say ‘Yes, I have read the agreement and am happy to continue on this journey!’ and have submitted your booking then you are agreeing to our terms and conditions below, and we can both be confident in the course that this journey will take. 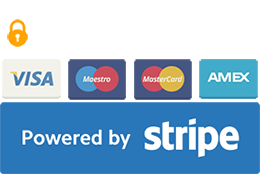 We accept payment by childcare vouchers, cheque and credit or debit card. If we cannot accept your booking for any reason we will be sure to refund you in full as soon as possible. Children must be 4 – 14 years of age to attend Activ Camps, if there is any confusion over a child’s age our Site Managers reserve the right to ask to see the child’s photo I.D.. If your child is forced by illness or injury to miss a day on camp we will happily view this day as credit to be used within the following 12 months. Simply provide us with a doctor’s note within 14 days of the first day missed on camp. In extreme and very unfortunate circumstances Activ Camps may need to cancel a camp. In this situation we will do our best to give at least 14 days notice and the option of joining us at another camp instead. If not, you will be refunded the full amount for the days cancelled. Refunds will be made via the same method of payment you used whilst booking and may be subject to a £5 administration charge. The cost of our camps, parties and other services we provide will be displayed clearly on our website. Don’t worry, if prices change you will only be charged at the rate displayed on the website at the time of your booking. If there is a clear error in the displayed prices on our website or any marketing material please let us know. We will not be able to provide you with our child care services at this incorrect rate and you will be asked to pay the difference to fully confirm your booking. If you pay by cheque and this cheque bounces you will be charged a £10 fee that will be used to cover the bank charges and our administration costs. We always make sure that our website and advertising does reflect our activity programme. However, inevitably, the availability of certain activities is dependent on the weather, ground staff advice and other circumstances outside of our control. We will do our best to inform parents of any restrictions or changes. Not all of our activities are available at each of our sites so please do read the site specific information on our website prior to booking. In the same light, not all of our activities will be available at every site on each day. No refunds will be made for activities that do not occur as we do always continue to provide a wonderfully wide range of activities. Activ Camps works hard to ensure the safe care of all children on camp, and this includes a thorough, ongoing risk assessment process for all activities. By accepting this agreement you give consent to your child taking part in a variety of activities, as stated on our website, and may well include adventurous activities such as, rock climbing, archery, trust games, orienteering, swimming and inflatables, and that participating in any of our timetabled activities is done at their own risk. Specialist protective equipment will be provided for rock climbing and archery, but sturdy footwear (i.e. no crocs, flip flops or ballet pumps) must be brought to camp and worn by children participating in these activities. Children may not be allowed to participate if they do not have appropriate footwear. Your child may participate in swimming during their day at camp and will complete a swim test before pool fun commences. As our camps are such non-stop fun the younger children get very tired and we therefore require all 4 – 5 years olds and some older children, decided at our discretion, to wear a buoyancy aid. Activ Camps staff will take photos and video footage throughout the camp day for use in promotional materials by Activ Social Enterprise Ltd and to keep you updated on what your little ones are up to! Please let us know at our Head Office if you have any objections to your child being in these photos or videos. When you join us each morning you will be met at the front door where you will be asked to give the names of the children you are dropping off. You will then be asked to fill out a registration slip, one per child, and it will include your name, the child’s name, age and, most importantly, who is picking them up! If the person collecting is different to the person that dropped off then their name must be on the original sign in slip and PHOTOGRAPHIC I.D. must be shown. Regardless if you are mum, dad, granny or grandpa, you MUST have PHOTOGRAPHIC I.D. if not the person who dropped them off in the morning. If your child is arriving or leaving on their own please provide written confirmation of this either by email or in writing. Activ Camps aim to be entirely inclusive, however, to do this we need to know the requirements of our children so that we can provide the best possible service and care for them. To enable us to do this please ensure that you provide us with all the information we need including medical details, behavioural details, details of any medication taken, learning difficulties or special needs. Failure to provide this information may result in the child’s exclusion from certain activities and/or camp. No refund will be offered in this case. If we deem your child too ill to attend camp, especially where we feel their illness may be contagious, we reserve the right to send them home or cancel their booking. Of course, as illness can’t be helped, credit days will be provided. Children should bring sunscreen to Activ Camps. However, we will always have some on site in case of those surprisingly sunny days! Please let us know if your child might have any reaction to using our sunscreen. In the event of an accident an Activ Camps staff member will administer first aid and, if necessary, call the emergency services. For those prescribed an adrenaline auto-injector (i.e. Emerade, EpiPen, Jext), please ensure you note this on the booking form. In accordance with government healthcare recommendations, your child should have access to more than one device on camp. Parents must meet the Lead First Aider on arrival at camp to discuss your child’s allergies and medication administration. All essential medication, including all adrenaline auto-injectors, must be handed in to the Lead First Aider each morning for checking and for the appropriate form to be completed. Adrenaline auto-injectors, once checked in, will be looked after by your child’s Group Leader so that they are with your child at all times on camp. If any medication is not clearly labelled with the child’s name or is out of date then your child will not be able to stay on camp until the correct medication is handed in to us. Activ Camps does not accept any liability for personal injury or sickness, or the death of any person, unless directly caused by the proven negligence of the company or its staff. Activ Camps will not take responsibility for the loss or damage of any items of personal property brought onto the camp. Our insurance does not cover personal items. Activ Camps encourages all parents and guardians to have appropriate insurance in place for personal injury, personal possessions and booking insurance with regard to their child’s attendance on one of our camps. Any negative behaviours such as bullying, aggression or disruption, will be dealt with with zero tolerance. Children displaying these behaviours repeatedly may be excluded from activities and/or camps. No refund will be given for the day of exclusion and any further days booked. All children in attendance of Activ Camps should be toilet trained. Activ Camps reserves the right to send any child home who is not. Please do not allow your children to bring expensive belongings such as music players, tablets, toys and even expensive clothing to camp. Please ensure that those items children do bring to camp are clearly labelled with the child’s full name. We encourage parents and guardians to check their child’s belongings at collection each day. A lost property box will be available for parents to look through for any missing items. If you lose something please send us an email with a description of the item so that we can attempt to return it to you. If, however, any items are not claimed within 14 days of the camp ending they will be donated to charity. Activ Camps accept no liability for loss or damage to any property belonging to a child, guardian or staff member. At Activ Camps our aim is to provide the highest quality care for children within our community. We continually look to adapt and change our practice for the better. At Activ Camps we take complaints extremely seriously and can almost always resolve them. However, we need to know as soon as possible so that we can follow them up immediately. If you are on site and have a complaint please direct it towards the camp Site Manager. If, however, they are unable to help then please contact the Activ Camps Manager, Will, via our Head Office. All notices given by us will be done so via our website, email or via the postal address you provide when booking. Once you have made a booking with Activ Camps you will automatically be added to our mailing list enabling you to receive updates on the upcoming camps. You can always unsubscribe by clicking the link at the end of the booking. Notices will be deemed properly served immediately when posted on our website, 24 hours after an email is sent or 3 working days after posting of any letter. Emails must be sent to the correct addressee and letters addressed and stamped correctly. We will keep your information secure and we will fully comply with all applicable UK Data Protection Act and consumer legislation. Your details will only ever be used to inform you of future camps and events run by Activ Camps. You can unsubscribe from these emails at any time. Activ Camps is an equal opportunities employer and also welcomes all children regardless of gender, ability, race or religion. Each child within our community is as important as the next and we will ensure that they receive equal access opportunity. Activ Camps has a legal obligation to report any suggestion of child abuse or neglect and will do so immediately. It is our policy not to exclude any child due to special needs, wherever possible. The needs of each child vary, so decisions will be made on a case-by-case basis, depending on the level of support each individual child requires to enable them to participate in and enjoy Activ Camps. Please contact our Head Office to discuss how we can support your child.